Located in the exclusive Steigenberger ALDAU Resort, Hurghada, Egypt. On about 360m² Ilios is offering all the service you need to enjoy your holidays at the Red Sea. High standard and professionalism are the basic to feel safe and comfortable. 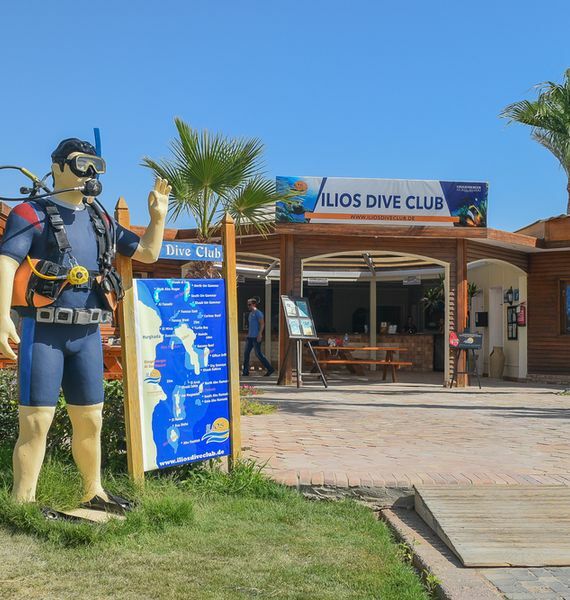 Ilios Dive Club offers full services for divers and non-divers. More than 30 years of experience in the professional diving business let the team assure you wonderful dives in one of the most amazing oceans of the world. It is our mission to professionally deliver a unique and unforgettable travel experience, exceeding our guest’s expectations of service and introduce you to the pristine beauty of the Red Sea. The center is accessible for wheelchair drivers and border free. 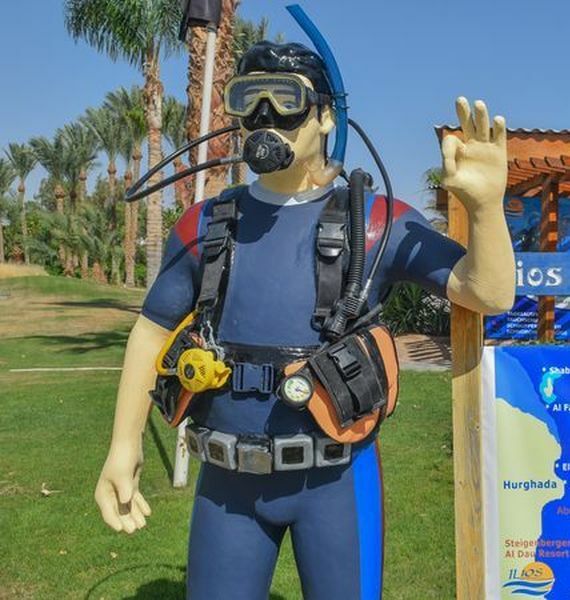 Since 1992 we are specialized in diving for physically handicapped people. Ilios Dive Club is directly located at the beach of the luxury Steigenberger ALDAU Resort, with its own private marina in front. The comfortable resort includes a 9 hole Golf course, 1000m² Spa, 5000m² pool area with lazy river next to the Aqua Park in Steigenberger Aqua Magic. The perfect place to spend unforgettable diving holidays in a relaxing atmosphere. 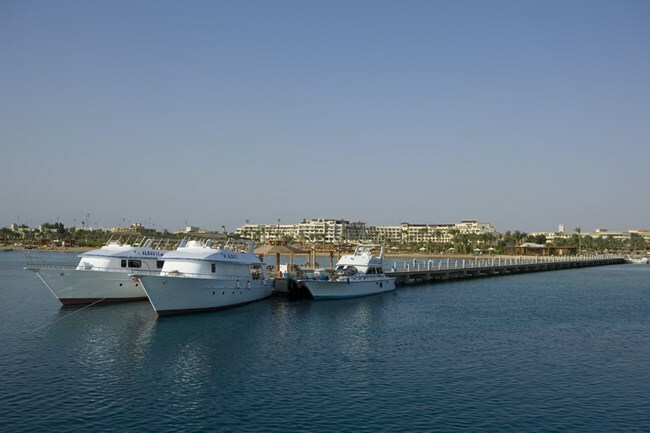 Being one of the Red Sea's most popular destinations, Hurghada, offers year round sunshine, beautiful beaches and easy access through Hurghada International airport, just 3 to 5 hours from Europe. High standards and professionalism are for us the basics to feel comfortable. The dive center is equipped with two multimedia classrooms, two big guest equipment rooms, workshop, filling station (Nitrox panel available), wheelchair accessible guest toilets and showers and a very big rinsing area. Ilios is directly at the beach with a private marina in front, which allows diving and boat trips in a most comfortable way. Four private diving yachts (ALDAU) assure perfect comfort, delicious food and everything to feel relaxed on board. The big diving area, spacious platform and comfortable sun deck will let you spend a most enjoyable time on board. Certainly the whole centre is done border free, as we are already since 1992 specialized in teaching diving to people with disability. 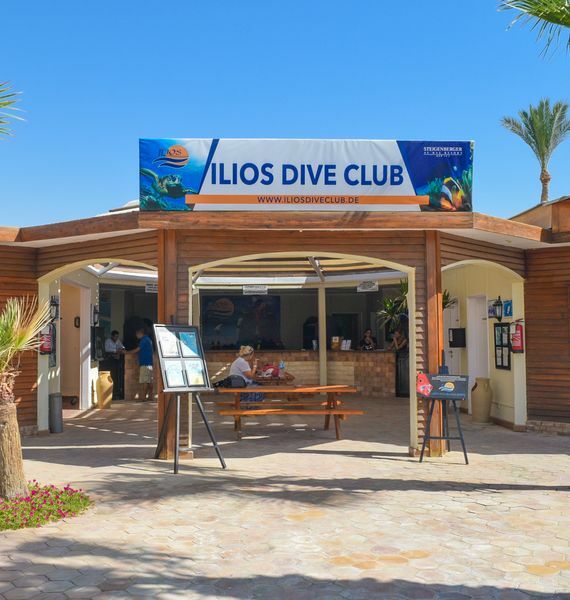 The ISO certified Ilios Dive Club is a member in CDWS (Chamber of diving and water sports, Egypt) and a recognized PADI dive school (# 35559), SSI center (# 720129) and ESA point (#0164). Being directly located at the beach with a private marina in front, allows you dives and boat trips in the most comfortable way. Join for a daily diving tour with one of the comfortable diving yachts or on a snorkeling trip with the glass bottom boat, in any case we will show you the best. The center is accessible for wheelchair drivers and border free. 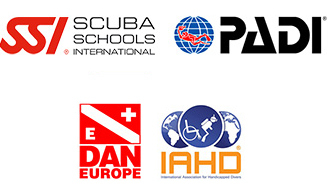 Since 1992 we are specialized in diving education for physically handicapped people. Ilios Dive Club is under the German management of Magdi N. Aziz, working in the professional diving business since 1987. Long years of experience will assure you well organized diving trips with high standards and safety. We will make sure, that your holidays will be a most relaxing adventure for you.